After years of study, Google uses a few simple questions to identify the company’s best leaders. The first thing I learned as an FBI agent was that I would need to be emotionally intelligent if I planned to live long enough to spend my retirement pension. 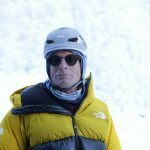 When Bozeman, Montana based Conrad Anker gives you ice-climbing advice, you listen. “The sky is definitely not the limit,” Kelly told an audience of 3,000 students, university and Bozeman community members Thursday night at Montana State University’s Brick Breeden Fieldhouse. Created and developed by Carmen McSpadden, MSU Leadership Institute director and staff, Boardroom Bobcats was launched in 2016 with the support from a $5,000 seed grant from MSU’s Outreach and Engagement Council. It will require drastically shifting that worldview, both as employees aspiring to find better and healthier work environments and bosses reimagining a new way of leading.